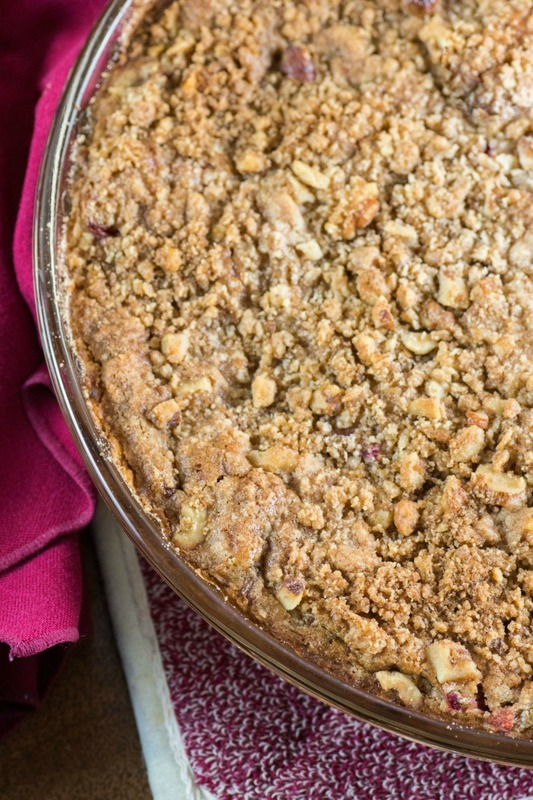 Rhubarb Impossible Pie is so easy, the crust is made while the pie bakes. Rhubarb is hands down one of the “fruits” I love to bake with. Did you know that rhubarb is actually a vegetable and not a fruit at all. I also love making Impossible Pies, I got the first few recipes from my mother’s recipe box. 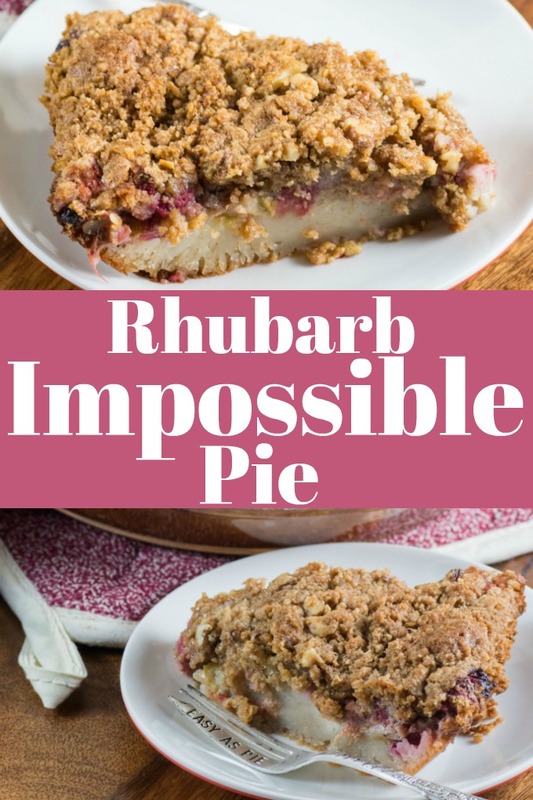 This Rhubarb Impossible Pie recipe though I created and it is an amazing way to enjoy rhubarb. Two of the most popular impossible pies that I have made are Impossible Coconut Rum Pie and Mexican Impossible Pie. They were very popular to make in the 1960’s where woman wanted the convenience of an easy recipe. 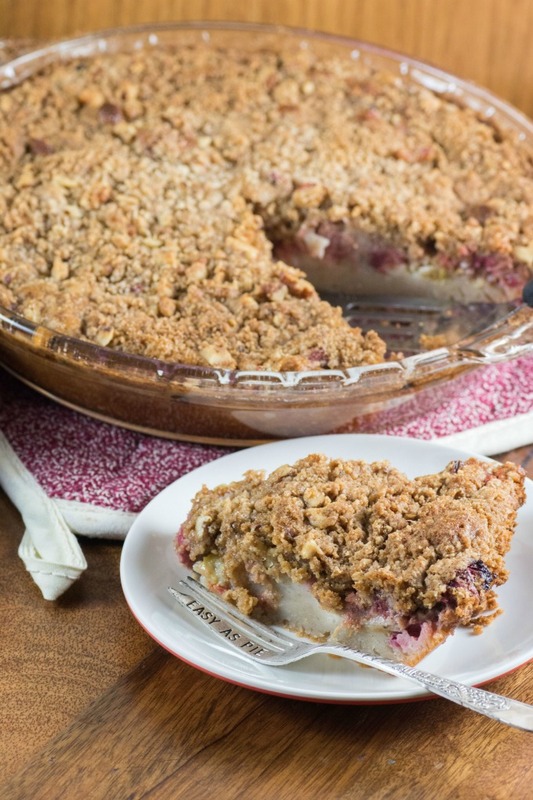 Do you have rhubarb in the freezer now from a fall harvest? I end up with lots to make wonderful desserts in the winter that remind me of summer!! I put them in bags of 3, 4 and 6 cups which seems to work well for a lot of the recipes I have. Bisquick by Betty Crocker now has a gluten free version but I have not tried it. 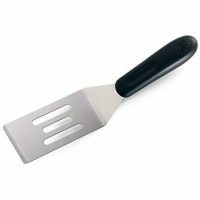 If you have I would love to hear what you think of it and if it works the same in most recipes or if you need an adjustment. Using the Bisquick in this recipe is what makes it impossible. It creates a creamy custard like filling where the fruit floats up on top and the Bisquick helps form its own crust at the bottom. Impossibly easy you say? Yup, it sure is. It is like a magic pie! 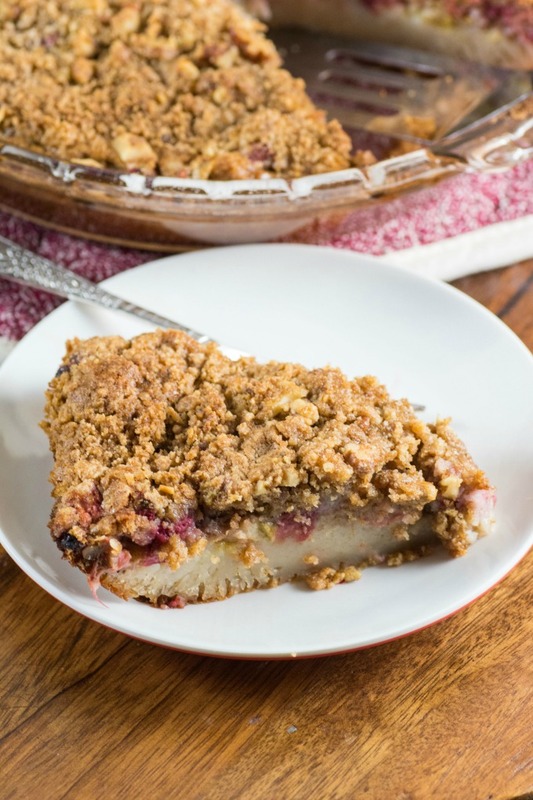 The added bonus of this recipe is the gorgeous streusel topping. This is something that you don’t see on most impossible pies but I thought it added so much more to the pie and is very easy to make. 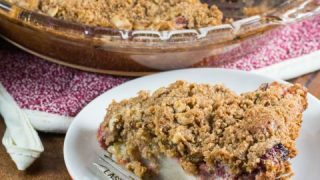 The streusel topping has the addition of 1/2 cup of walnuts which just add the perfect crunchy texture to the fruit and creamy custard underneath. We love baking with rhubarb and I will share some of my other recipes with you also. This recipe is as easy as pie!! To make the custard and the subsequent “crust”, you add in the eggs, Bisquick, melted butter, salt, sugar, vanilla, milk, cinnamon and nutmeg all to the blender and blend it for 3 minutes. Place the rhubarb in the greased pie dish and pour over rhubarb the custard mixture. Make up the streusel topping by cutting in the butter to more Bisquick, brown sugar and cinnamon. Then add the nuts and sprinkle on top of the rhubarb/custard. Heat oven to 375F. The pie takes a while to bake from about 45 minutes to 55 minutes. Once it has set in the middle it is done. If it gets too brown then simply cover it at the end with foil. 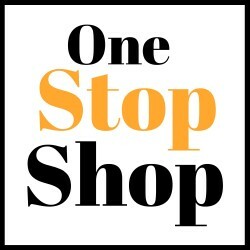 So simple you won’t believe it!! If you didn’t add the streusel topping the rhubarb floats up to the top and is pretty like that also!! Either way this recipe would be great served up with vanilla bean ice cream or whipped cream too. 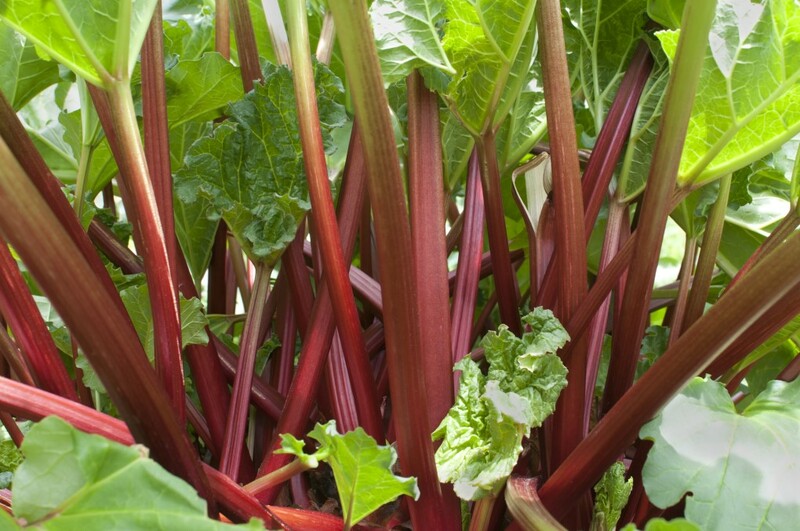 Rhubarb is very easy to grow and is almost like a weed. Pick a good spot free of weeds that gets direct sunlight. Also make sure the soil is fertile and well drained. I have a stepped down garden that is at the side of my house and the two top smaller beds are filled with lava rock and about 7 or 8 large rhubarb plants. They do very well in this garden and let me yield about 30 cups or more each year, which a lot of it ends up going into my freezer for later use. You may only want to plant 1-3 plants depending on how much you want to harvest. 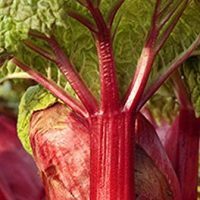 Rhubarb is a perennial that comes back each year and the plants may even get bigger and bigger each year if they love the spot they are planted in. Word of caution is that the leaves are highly poisonous. I get rid of them into the compost while I am outside and don’t even bring them into the house. Rhubarb I would say does best in the northern climes as it likes a colder winter and a cooler summer for the most part. 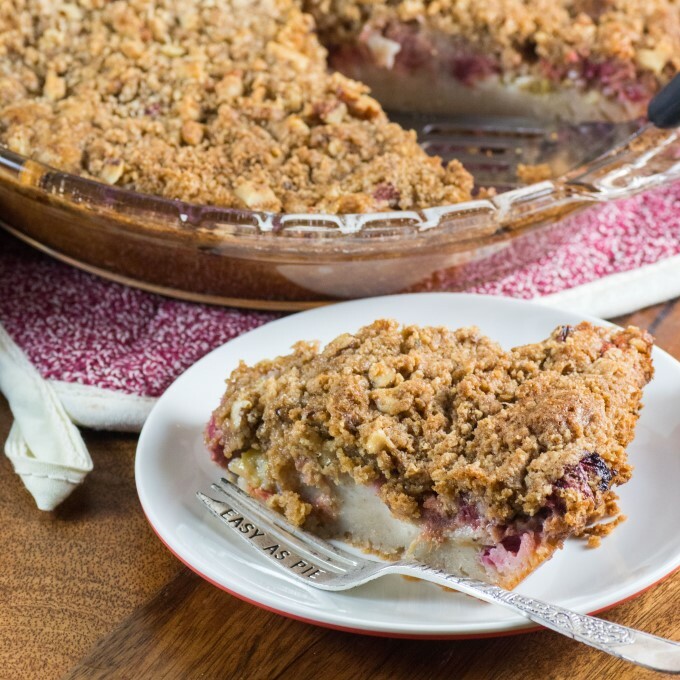 So give this wonderful pie a try the next time you come across rhubarb or your next harvest or if you are lucky you still have some in the freezer. It would be equally good for an afternoon tea as it would be for a dessert or brought to a picnic or pot luck!! ENJOY!! This very easy Rhubarb Impossible Pie comes together in a flash. The custard filling is made in the blender and a crust magically appears on the bottom while baking. Preheat oven to 375F. 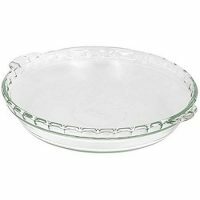 Grease a 10" pie plate. Place rhubarb into pie pan. Blend the eggs, Bisquick, melted butter, salt, cinnamon, nutmeg, sugar, vanilla and milk for 3 minutes in a blender. Pour the custard over the rhubarb. Mix together the streusel topping by blending the butter with the Bisquick, brown sugar and cinnamon. Blend until well mixed and then add in the nuts. Sprinkle on top of the pie. Bake for 45-55 min. or until set in the center. Cover with tin foil if it is getting too browned. I got a little nervous seeing the word impossible, but you made it super possible. Love the idea of growing rhubarb and would love to try this for a nice winter weekend recipe. I’ve never cooked with rhubarb before, but this recipe is something I’d love to try for a special occasion! Bisquick is so easy to cook with. I don’t think I’ve ever had just a plain rhubarb pie. I’ve had strawberry/rhubarb pie. I think I’d like to try this some time soon. This looks amazing. I would love to give this a try. Always loved rhubarb pie! Wow that is just delicious to look at. Rhubarb is one of those types that either you love it or you don’t. I happen to love it. 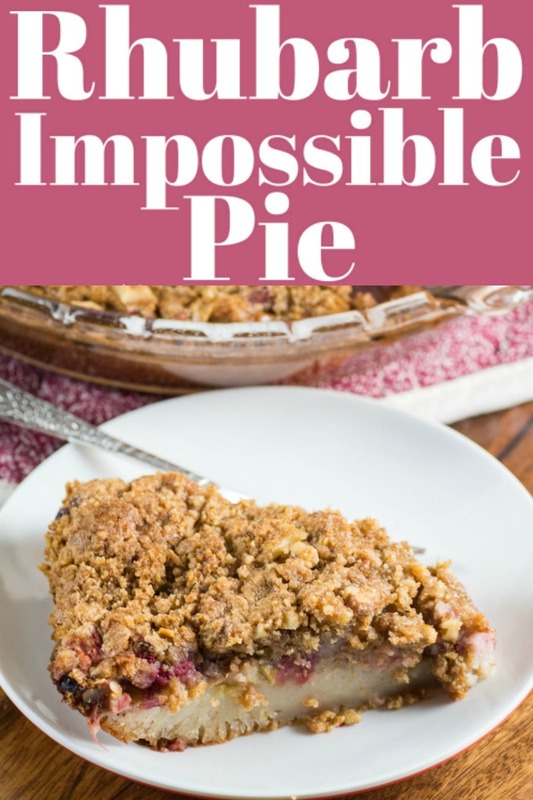 I will definitely be trying this ‘impossible’ pie once I have some rhubarb. Thank you! I cannot wait to try this recipe. It not only sounds tasty but looks wonderful. I wish rhubarb was something you could get year round as I am not one to think about freezing. I will keep that in mind this next season. Mouthwatering! 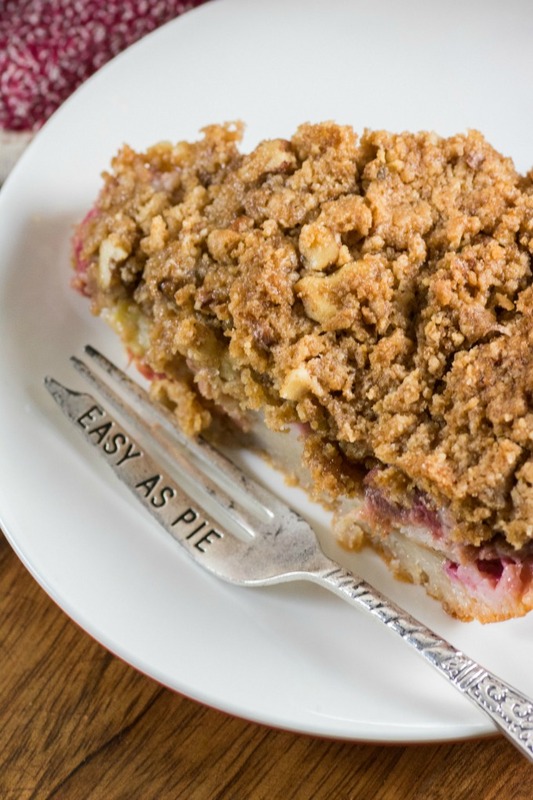 This rhubarb impossible pie looks divine! My family will love it, I am sure! Oh my that looks yummy! I love rhubarb anything! I’ve never tried rhubarb, but this looks delicious! I’m going to have to try it!